Description Pandas! Cute, lovable, and iconic...see them as never before on the giant screen in this film. 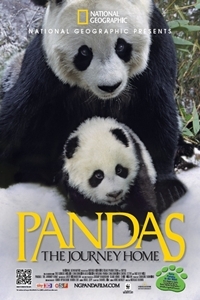 Thanks to the unprecedented access granted to the filmmakers of Pandas, you will go on a truly unique adventure with these amazing creatures. You'll experience their fascinating behavior as you chuckle at their hijinks. Pandas are as much fun as they are cute, and they love getting the best of humans! You will also follow one panda in particular, Tau Tau, as he is released into the bamboo forest to begin a new life living wild. Prepare to lose your hearts!